Quality floors start with quality people. 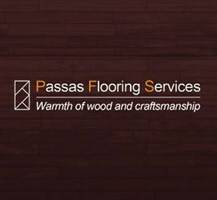 At Passas Flooring Services we have over 20 years of experience in the business, we are committed to complete customer satisfaction. We specialise in wood floors, parquet, engineered floors. We also offer restoration services to all types of wooden floors. Exceptional quality and service in the commercial, residential and institutional sectors is what our company’s success has built on. We are committed to providing hardwood flooring as well as reclaimed flooring at the best value for your money. We carry only reputable manufacturers who adhere to environmentally appropriate practices. We have samples of most flooring products available that you can take to view in your own home or business. We're not going to rush you into a decision but when you’re ready, so are we. We can provide you with immediate estimates and scheduling or arrange to visit your home or office (generally within 72 hours). London, Reading, Oxford, Cambridge , , Kent , Surrey, Bedford, St Albans, Norwich, Cotswold, Tewin, Berkhamsted. Newport.Maidenhead, Windsor.